I remember as a child looking forward to Ramadan simply because I could stay up late and eat at random times in the evening with my dad, especially in the summer months. I used to fast…but did I truly understand why? No not really; it was just something I was told about and just did as everyone else was fasting. But these days there are so many resources out there that can help teach your child about Ramadan and make it fun and exciting. One of these resources is the ‘My Ramadan Fun Book’. 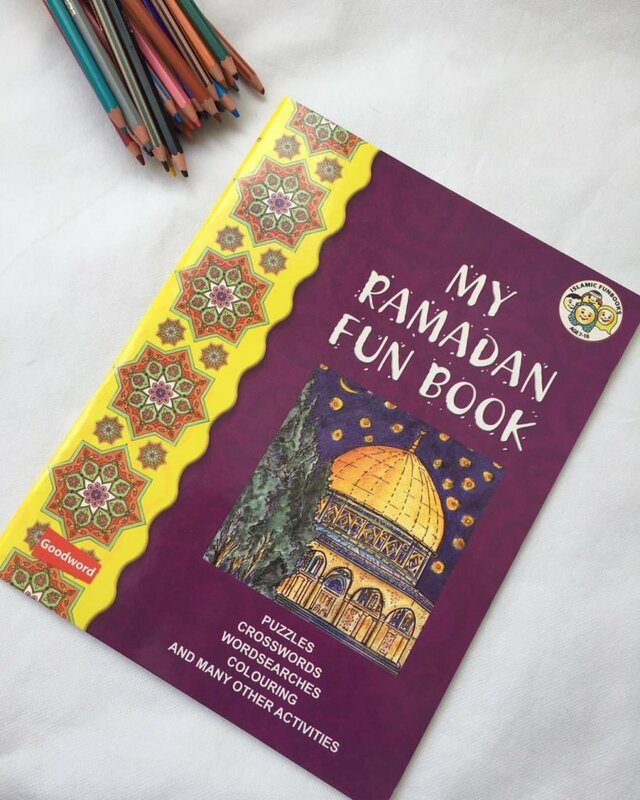 Islamic Fun books are designed to help children learn more about Islam in a creative and interesting manner. The books contain imaginative and interesting activities and illustrations to attract the attention of young children. Parents and teachers will find such books useful in teaching todays’s children about Islamic beliefs and practices. The fun book contains 39 pages of activities which include wordsearches, crosswords, colouring and more. The activities even encourage children to research ayats and think of the bigger picture, for example thinking about hunger around the world. As there has been a lot of interest about this book I have done a quick video on it, showing all the pages. This would be perfect for the children at Ramadan to learn more about Ramadan and keep them occupied during the holy month in sha Allah. We were sent this book as part of being ambassadors for Mini Muslim Playground. However all opinions are our own. If you wish to purchase it you can do so at Mini Muslim Playground, priced at £3.25. Alternatively it is available from Amazon: My Ramadan Fun Book . (affiliate link). The book of yours is very creative thought giving pictures to feel the hunger is great. I love your presentation style. Simple and neat. I also believe that colours and better quality paper always attracts the attention of the kids more. Black and white makes things boring for them, but this book does seem educational and a great help to inculcate the importance of Ramadan in the minds of our children. such a good resource, But i believe this must be appropriate for children aged above 5/6 years? I loved the ideas and I am thinking to do something similar for kids under 5. Maybe some crafts and home decorations etc.